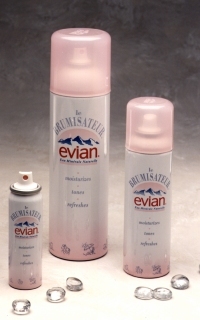 Cool down and freshen up with Evian Brumisateur. The popular spring water isn’t just for drinking. Spray it on in the morning to prep skin before applying makeup or use it to wake up your skin. Pack it in your favorite beach bag, gym bag or handbag, right next to your Evian drinking water and you’re all set to go. Sold everywhere nationwide, $15 for 14oz.